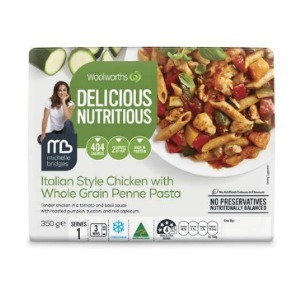 Woolworths has added a new chilled range of ready-to-eat meals to its Delicious Nutritious range with celebrity fitness trainer, Michelle Bridges. 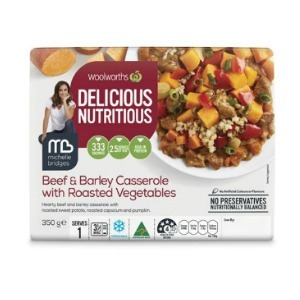 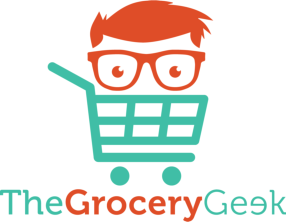 Delicious Nutritious meals are created for Australians looking for healthy but quick meals. 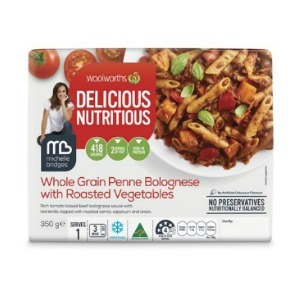 Whole Grain Penne Bolognese with Roasted Vegetables – rich tomato based beef bolognese sauce with red lentils topped with roasted carrot, capsicum and onion – 418 calories. 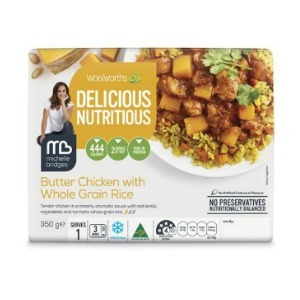 Butter Chicken with Whole Grain Rice – tender chicken in a creamy aromatic sauce with red lentils, vegetables and turmeric whole grain rice – 444 calories. 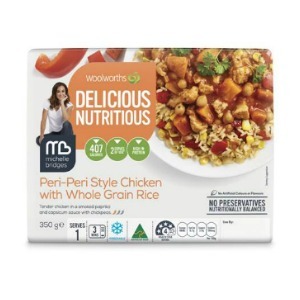 Peri-Peri Style Chicken with Whole Grain Rice – tender chicken in a smoked paprika and capsicum sauce with chickpeas – 407 calories.